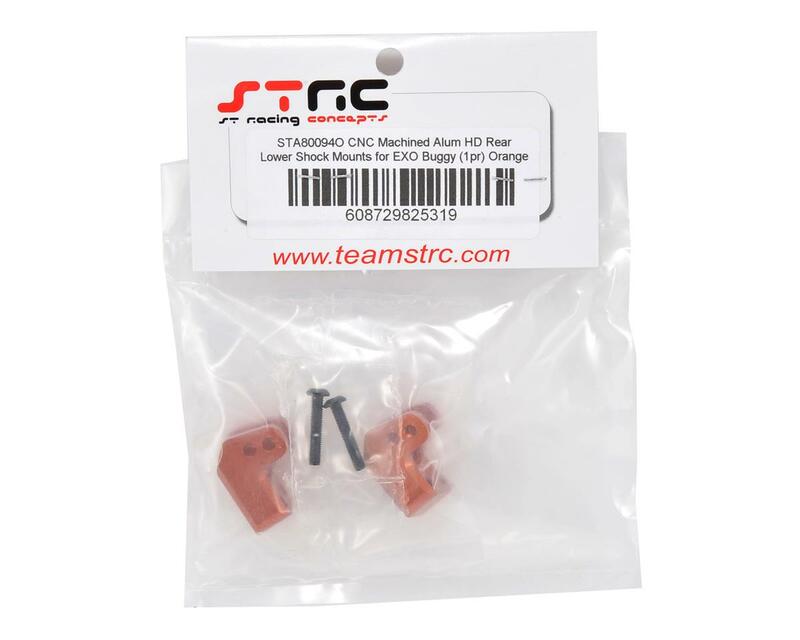 This is an optional ST Racing Concepts CNC Machined Aluminum HD Rear Lower Shock Mount Set, and is intended for use with the Axial EXO Terra Buggy. 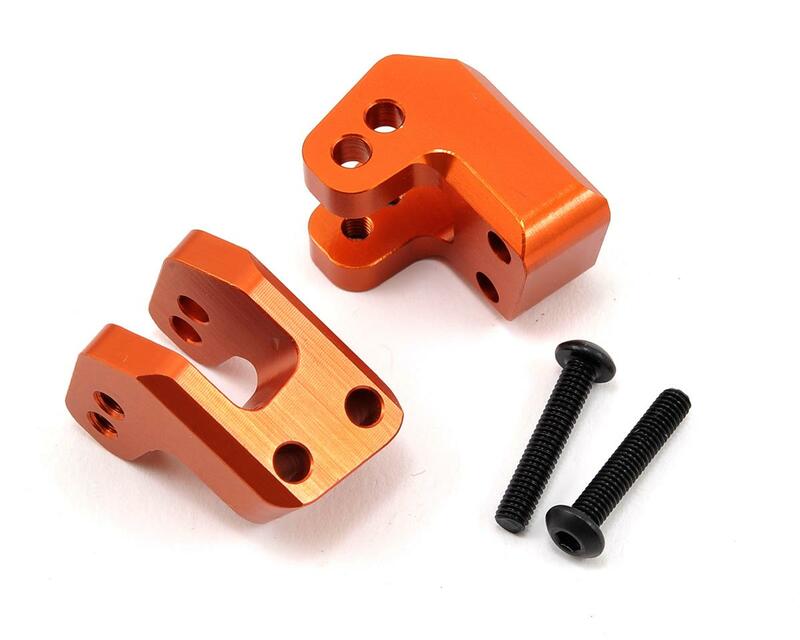 These CNC Machined Aluminum Lower Shock Mounts are a direct replacement to the stock plastic pieces and offer increased strength and durability. Anodized in a stylish color, these lower shock mounts are a great addition to the Axial EXO Terra Buggies look and performance. This set includes a left and right side lower shock mount.